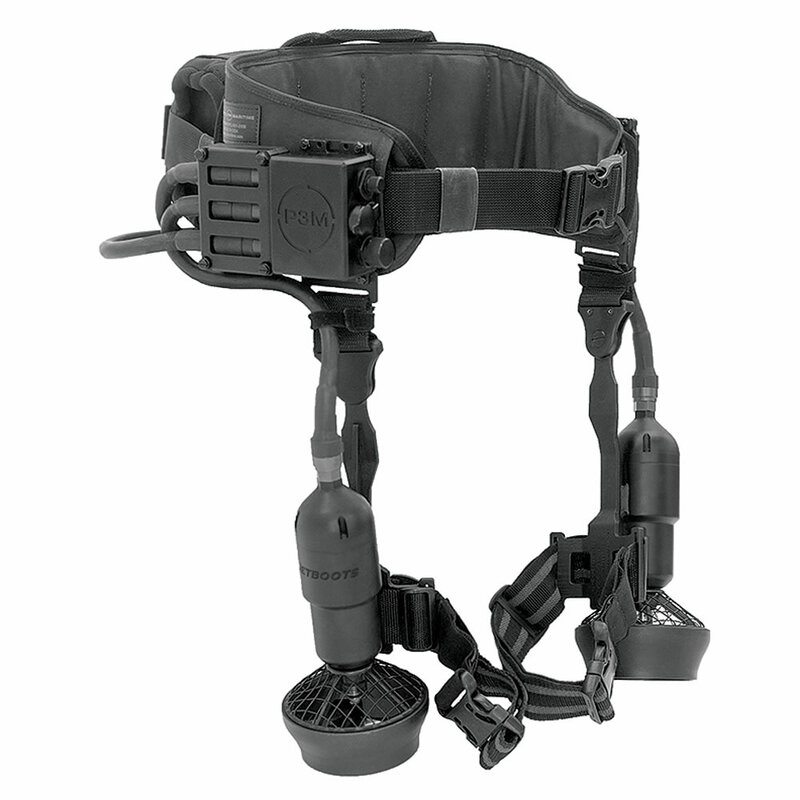 This is the patented diver propulsion system currently used by the U.S. military for combat swimmer applications. Only available from Hammacher Schlemmer for recreational use by U.S. citizens within U.S. territorial waters, its advanced design requires purchase approval from the U.S. Department of State. The system’s twin 6"-diam. 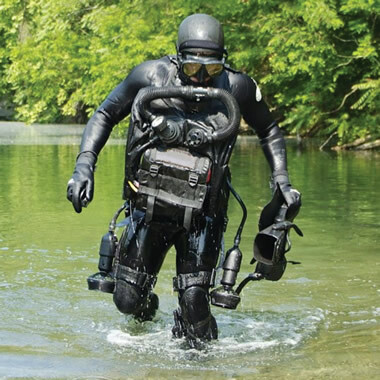 thrusters mount to the outside of a diver’s lower thighs just above the knees while its power source and throttle setting secures around the waist. With a maximum underwater speed of 3 1/2 knots, the thrusters’ brushless electric motors provide virtually silent yet powerful operation that relegates diving fins to controlling attitude and direction. Unlike other handheld propulsion systems, this one provides hands-free operation, one of the reasons the military prefers it for reconnaissance, search and rescue operations, and hull inspections—and why they are ideal for snorkeling. Its lithium-ion battery provides a range that exceeds two miles; an extra battery may be carried and “hot swapped” underwater to extend operation. Compatible with commercial diving gear. Special conditions and guarantee limitations apply. Please call 1-800-227-3528 for details.